Never has a prodigy in Europe completed a summer transfer move to another club without being heavily linked to Arsenal. It has become a routine in the modern day but so has Arsenal Wenger’s reluctance to buy, however, we’ll report the rumour anyway. 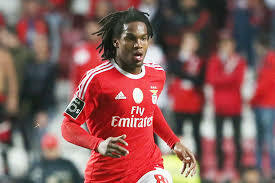 This time it’s Benfica’s prized Portuguese possession Renato Sanches whom Wenger has reportedly sent scouts to keep an eye on. The 18-year old Portuguese is a highly rated mid-fielder in Europe with Bayern Munich, Manchester United, Southampton and PSV being among loads of other clubs who have sent scouts to watch Sanches on a regular basis. While Bayern and United’s scouts have been familiar sights in Benfica’s previous fixtures, the Daily Mail are reporting the Gunners to have monitored him too in Benfica’s recent clash against Academica that saw Renato Sanches being named man of the match. It is believed that Manchester United are the frontrunners so far for securing the mid-fielder’s services having held talks with the club and his agent Jorge Mendes on several occasions over a possible “£60M deal” (buy-out clause) which is expected to be agreed upon in the early stages of the summer transfer window. If Arsenal were to sign him, the negotiations may well have to begin now, though, going by what the buyout clause has to say, there’s no cat in a hell’s chance of Wenger paying that much for a young player. Add to that the fact that Arsenal’s relations with Jorge Mendes aren’t very good and the possibility meter strikes an all-time low. Regardless, you never know what Arsenal may do if they are genuinely interested in a player as we have seen a lot of times.